Skills work in a similar way to Attributes. They determine how your character should be RPed, but hold less of overall influence compared to the aforementioned attributes. There are three specializations that determine what skills you will be most proficient in. Each character is allowed to choose ONE specialization. Each character is allowed to choose SEVEN skills. Blade governs how skilled you are will bladed weapons. Without this skill, you will be inefficient, struggling to properly align a weapon's edge during a swing. Blunt governs how well you can use blunted weapons, like maces and hammers. Without this skill, you will be unable to properly handle the weapons' weighted ends. Hand-To-Hand governs how well you can attack enemies using only your fists. Without this skill, you lack the technique to effectively use this form of combat. Armorer is the ability to repair and reinforce arms and armor - along with creating them, should you possess the resources. Without this, damage to your equipment will have to be mended by professionals and all equipment must be found or purchased. Block allows you to equip shields, which can be used to block a variety of attacks more effectively. Heavy Armor allows you to equip heavy armors, which are not easily bypassed by conventional weapons. Athletics determines how quickly you run and swim. Without it, you're simply an average Joe in terms of movement. Acrobats determines how high/far you jump, and your ability to balance. With it, you can preform acrobatic feats like daring leaps and falling from great heights with grace. 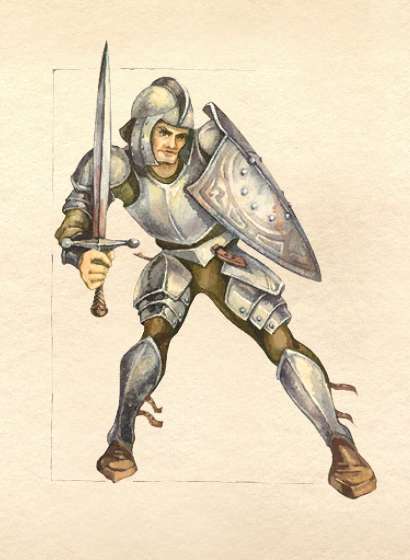 Light Armor determines whether or not you can wear light armors like padded, or leather. Without it, or heavy armor, you will only be permitted to wear clothing or robes. Security governs your ability to lockpick. Without it, you have no knowledge of a lock's inner workings or how to open them. Sneak governs how well you can move undetected. Without it, others are far more likely to notice your presence. 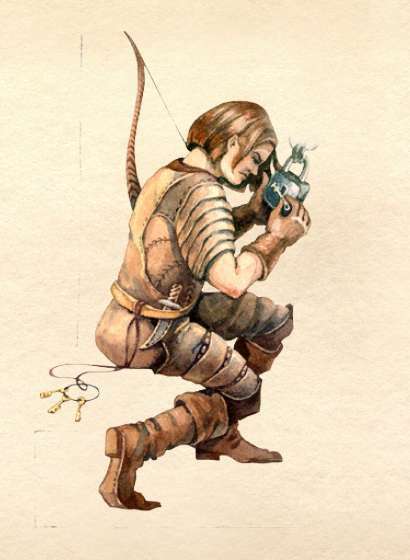 Marksman governs your ability to handle ranged weapons like a bow and arrow or crossbow. Without it, you lack the steadiness or technique to accurately fire missiles. Mercantile determines your ability to haggle with merchants. Without it, prices are non-negotiable. Speechcraft affects how well you can coerce others. With it, you are far more likely to bend others to your will. Illusion allows the use of spells to create light, conceal, charm, paralyze, or alter target's aggression or confidence. Without it, you are unable to cast spells from this school. Alchemy determines your ability to craft poisons and potions. Without it, you lack the knowledge of herbs and mixing processes to be able to create concoctions. 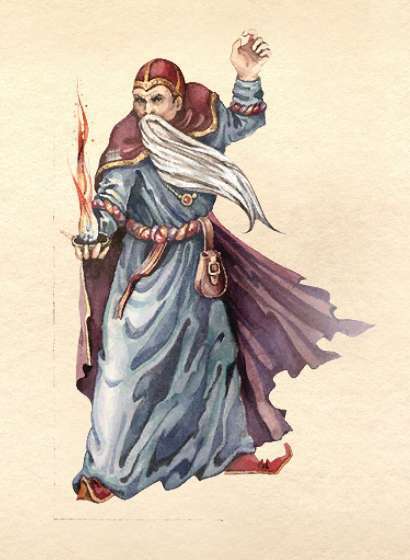 Conjuration is the ability to summon creatures from other planes, summon weapons and armor, and repel undead creatures. Without it, you are unable to cast spells from this school. Mysticism includes spells that absorb, reflect, and dispel magic, move objects, sense life, and bind souls. Without it, you are unable to cast spells from this school. Alteration governs spells that can open locks, lighten or intensify weight, create wards, grant water-breathing, or water-walking. Without it, you are unable to cast spells from this school. Destruction determines your ability to cast damaging spells that involve fire, ice, and lightning. Without it, you are unable to cast spells from this school. Restoration involved spells that heal or augment living tissue, such as such as healing yourself or others, and cure diseases. Without it, you are unable to cast spells from this school.